Living in style and with a view – step this way. 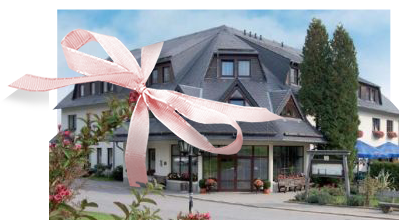 Our receptionist will welcome you with a friendly “Glück auf”. The reception is open daily from 7.00 am until 8.00 pm. The panorama restaurant and summer terrace are on the hotel’s ground floor alongside the reception. A staircase leads to the upper floors of the hotel where 21 cosy, non-smoker rooms and 1 suite await you. Each room bears the name of a famous town or village along Saxony’s “Silver Road”. Whether “Olbernhau” or “Kalkwerk-Lengefeld” – all of the rooms’ doors will make you curious to discover what’s behind them. Start your day with a delicious buffet breakfast. This is served daily from 7.00 until 10.00 am and includes everything to get your day off to a fantastic start; various cold cuts, cheese, yoghurt, fruit, muesli, pastries, fruit juices, hot drinks and a warm dish that is changed daily. We will be happy to make you some scrambled eggs on request. We offer double rooms with one or two extra beds for you and your children. Our family rooms are also ideal. These are two adjacent double rooms with a connecting door. 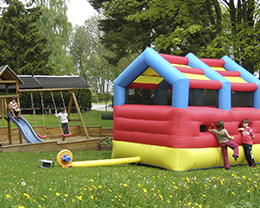 The outside area offers plenty of space for exercise and games, e.g. a children’s playground, table-tennis table and in winter a toboggan slope right next to the hotel. Our restaurant has a colour-in children’s menu as well as high chairs and booster seats for you children. 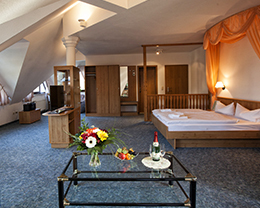 A games room as well as a nappy-changing room are also available in Hotel Waldesruh. Treat yourself to a massage by our trained staff. Get a better feeling for your body and more energy for everyday life. We can offer you a very special experience, the professional stone massage, as well as a beauty-energy massage, classic back massage, aromatic oils massage, vital massage (back massage), Japanese energy and relaxation massage as well as foot reflexology. Please ask our staff or contact us for further detail. I am looking forward to helping you feel better. Are you looking for that special something for an anniversary, Christmas or just to say thank you? We will be happy to issue a restaurant and hotel gift voucher for any occasion and for any amount with a personal address, dedication and greetings.